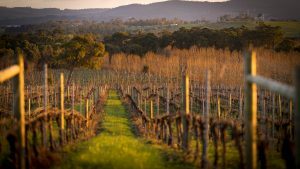 Over 100 agricultural businesses will open their doors for those looking to see and taste the pride of Tasmania’s farmers. Northern Tasmania is brimming with goodness this time of year and this showcase always brings the best of farm-raised, garden grown and homemade Tasmanian specialties to the public. The valley is known for its diverse blend of everything from milk to meats and fruits to flora. Farm representatives will be on hand to explain how they seed, nurture, grow, harvest and process their wares to ready them for sale. Hands-on experiences and cooking demonstrations are just some of the highlights during your visit to the Farmgate Festival. Springtime comes alive at Exeter, where the Tamar River Valley and its scenic farmlands will host the festival annually in November. For three days, visitors can observe and learn about the production of sheep’s milk cheese, sample wine varietals, savour the sweetness of flower honey and taste the freshness of organically grown apples. But that’s just a bit of the richness of this unique festival. Shimmering olive groves and fragrant fields of lavender provide for the senses a lush reminder of days gone by. Farmers in this area are eager to show how they have preserved the old methods and work diligently to bring to you the most delicious and fresh produce, meats and dairy products this side of the equator. Learn about raising healthy animals, processing ciders, the curing of olives and the making of naturally-based cosmetics, just to name a few of the ways in which visitors during the festival can get an insider’s view of how superior products make it to market. Specialty items at each site are available for purchase. Olive oil, apple butter, truffle paste, lavender sweets and berry conserves are all favorites to taste and take home. If it’s meats you crave, cured pork and premium grade beef are on hand. Savoury cheeses, first-rate wines and aromatic hazelnuts also beckon. 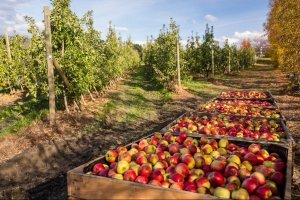 Over the years, farm participants have included Muddy Creek Apples, Tamar Valley Truffles, Village Olive Grove, Grinnels Dairy Farm and Grey Sands Vineyard. This is only a sampling of the many farms who have joined the Farmfest over the seasons. 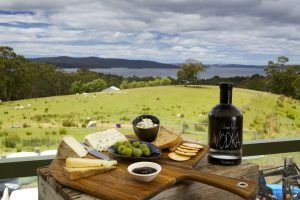 Plan your weekend getaway to learn more about Tasmania’s pride of outstanding food and beverage products. As the tour is self-driving, you can take your time at each location, leisurely visiting the farms that are of most interest to you. From Hobart, Exeter can be reached by Highway 1. Tickets to enter all farms along the route are $15 per adult, with children under 16 admitted free.